The Cinema is a Community resource and is run by a voluntary Board of Directors on a not for profit basis and relies on audience support for all our events. We are normally open from Wednesday to Sunday showing films . We also have a fully equipped stage for live events. We are always interested in hearing from anyone who can offer assistance on a regular or periodic basis to cover for busy performances. Are you a regular Cinema-goer? Make each visit even better by earning a free film ticket! The Cinema Loyalty Card entitles the bearer to one free visit to watch a film for every 8 films where a ticket is paid for. If you have an interest in films and all things cinematic and would like to contribute more fully in the running of the Cinema why not join us and become a Board Member. 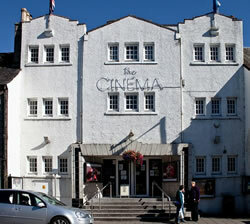 We welcome suggestions and ideas to ensure the continuing success of our wonderful Cinema. Please check out membership of the Board on the Company News page. 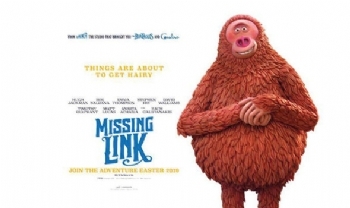 Sir Lionel Frost is an explorer of mythical beings and Mr Link is a mythical being who wants to be found. When the pair discover each other, they embark on a perilous mission of legendary proportions that answers the questions surrounding the past and future of mankind.